We buy property in any condition. Receive A Fair, “As-Is”, Cash Offer Within 1 Business Day. We pay all closing costs & escrow fees. Give us some info about your house in Orange. Just give us the basic info. Then we’ll crunch the numbers and put together a fair cash offer. You’ll receive your fair offer from us. Within 1 business day (usually as fast as 24 hours) we’ll put together a great no-obligation offer at a fair price. And YOU decide if you want to accept our offer! When is Quick Home Offers a good choice? The property was built more than 15 years ago. The house needs updating or repairs. You want a stress-free sale. You’d like a sale that is going to close on time. The house doesn’t qualify for financing. There is un-permitted work done on the property. When is Quick Home Offers not a good choice? Your house is updated and in great shape. You’re looking to receive an offer of 100 percent or more of full retail value. It doesn’t matter why you want to sell. But if you’re asking “sell my house Orange” right now, then we’re ready to help. If you’re facing bad tenants, expensive repairs, code violations, mold… or you just want to sell the house fast, we can help. If you’re thinking “sell my house Orange”, “sell house fast Orange”, or even “sell house as is cash Orange”, then Quick Home Offers is ready to help you with our simple home-buying solution. 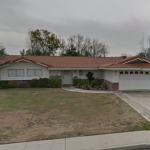 We Buy Houses in Orange California! Sell Your House Fast In Orange County, CA! We also buy in many other places such as Ventura County, Los Angeles County, Inland Empire, Fresno, and more! There are never any obligations to accept an offer! There are no commissions, and no closing costs paid by you! It really is the easiest way to sell. Period! If you’re looking to sell your house cash as is the easy way, simply request an offer!